The 3-D, family friendly G-Force took home box office gold this weekend with $32.2 million according to studio estimates on Sunday. G-Force knocked the prior box office king, Harry Potter and the Half-Blood Prince off its top spot. going to be a matter of time and time tells all: wizard Harry Potter is still a mainstay at the box office this summer, only now he’s stepping aside for a new front runner. 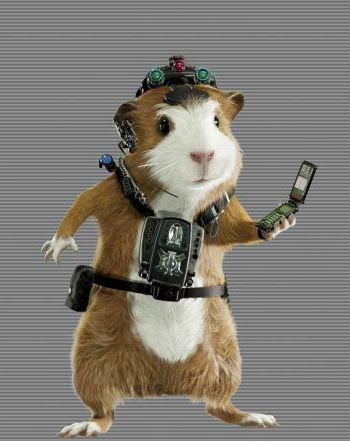 G-Force’s hybrid of live action with computer-generated animation proved to be a winner, guinea pigs and all with its voiceovers from Nicolas Cage, Tracy Morgan and Penelope Cruz. estimates at $30 million this past weekend. Keep in mind its opening weekend last week was $79.5 million! Ugly Truth which opened in $27 million — quite respectable for a romantic comedy fighting wizards and secret agent rodents. from day one of its release. this summer. In other news, Bruno fell to tenth place with $2.7 million. Goodbye, Bruno! Harry Potter exclusive: Ginny Weasley speaks!